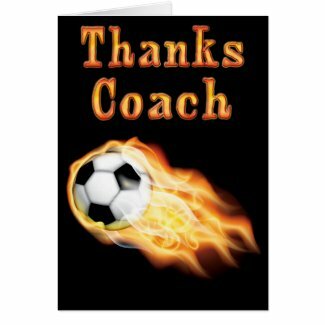 The coach will love these Great Soccer Coach Gifts Thank You. I love these new designs and how the lettering looks like it is on fire and heated up. This is one way you get the coach fired up and show the coach how much they are appreciated. Really cool Personalized Christmas Gifts Ideas. You all worked hard and played hard. 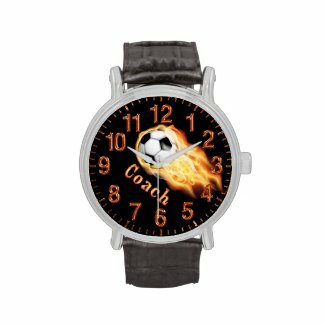 Here are some real cool Soccer Coach Gifts Thank You ideas from Under $5.00 to Coach Gifts Under 50 or more if you select more expensive styles of soccer watches. 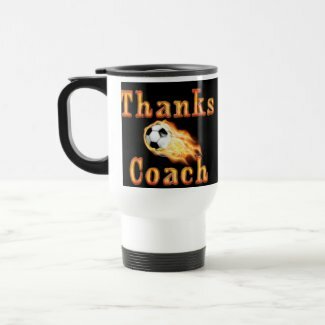 The Soccer Coach Mugs, Soccer Watches for Men and Soccer Keychains are my most popular Custom Soccer Gifts for Coaches. 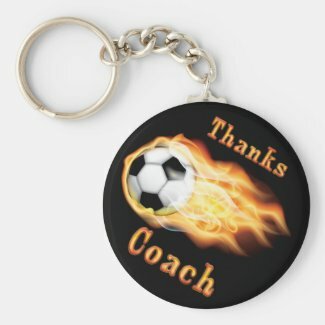 Cool Flaming Soccer Coach Gifts Thank You. 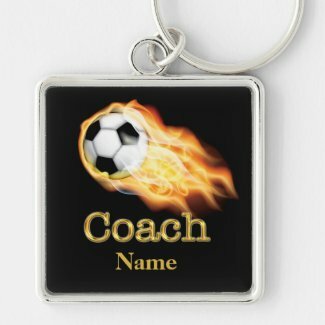 Unique Soccer Christmas Gifts Ideas for Soccer Coaches. This is the same design on two of the many Mug styles to choose from. The Stainless Steel Coach Mugs come in the stainless color outside like you see and the white outside like the mug above. It is lined with Stainless Steel on both of these mugs. That is very important to me. I don’t like having hot and cold things on plastic. The ceramic mug come in the plain white (as shown) or with accent colors. The design dulls out more on the accent color mugs and the stainless mug. The white shows the design up more but the stainless if very cool. 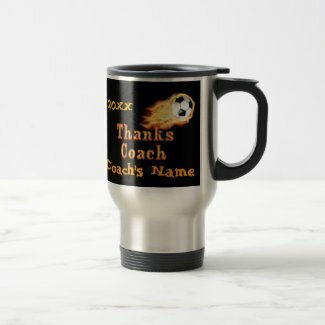 Your coaches will love these personalized mugs.